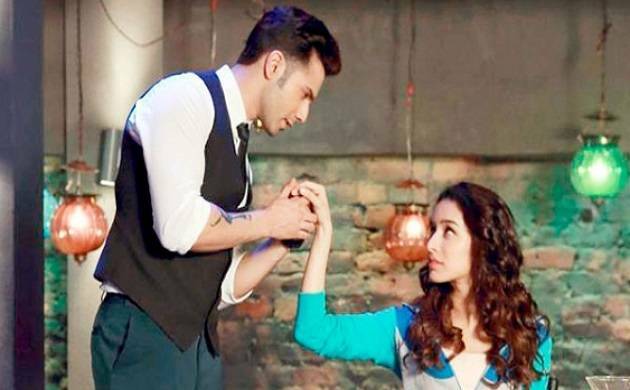 Varun and Shraddha were appreciated for their dance moves in the dance drama ABCD 2. Their sparkling chemistry was quite evident in the songs ‘If You Hold My Hand’, ‘Nach Meri Jana’ and ‘Sun Saathiya’. All the fans of Varun Dhawan and Sharaddha Kapoor, there’s some good news. The two talented actors who impressed movie buffs with their sizzling chemistry in the hit movie ABCD 2 will be seen in an upcoming movie. Varun and Shraddha will be seen matching steps with each other in the song ‘High Rated Gabru’ for the movie ‘Nawabzaade’. The two star kids will groove on the beats of popular track sung by Guru Randhawa. The upcoming movie which is presented by Bhushan Kumar and Remo D’souza is being helmed by Jayesh Pradhan. Bollywood trade analyst Taran Adarsh shared the pictures of the two actors on Twitter. On the work front, both the actors are preparing for big releases. While Varun will be seen in ‘October’ and ‘Sui Dhaga’, Shraddha will star opposite Prabhas in the much-awaited movie ‘Saaho’.